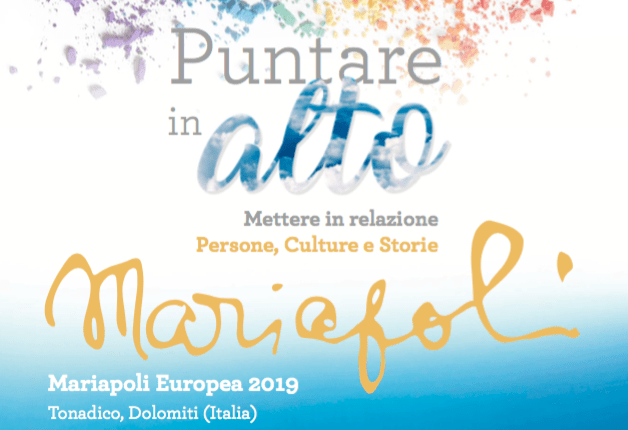 Against the background of an increasingly fragmented continent of Europe, the Focolare Movement is holding its first Europe-wide Mariapolis, “Aim High”, in the summer of 2019. From 14t h July, four week-long holiday events, each tailored to a number of European languages, will take place in the Dolomites, Italy, where the first ‘Mariapolis’ was held seventy years ago. A Mariapolis (City of Mary), is a gathering where the citizens of a temporary ‘town’ try to build a new type of human society based on the relationships in a family – fraternity and mutual respect, as they holiday together. Aim High i s open to people of all faiths, backgrounds and ethnicities. The Mariapolis continues today on all 5 continents and now there are also twenty permanent Mariapolises around the world, the first and most developed in Loppiano, Italy, in 1964.